Grant money for Jewish summer camp programs and for educational study in Israel are available through the TBEMC Youth Fund. Applications need to be completed and submitted to Shari Kopla and Ozzie Alexander, Youth Fund Chairs or to Jonathan Cohen, USY/Kadima Advisor. Questions, contact the Temple office at 908-276-9231. Kadima is a synagogue-based, international youth program geared for Jewish youth in grades 6-8. Kadima sponsors a variety of activities, including social, educational and social-action programs. Kadima teaches Jewish youth leadership skills, and enables middle school students to make friends from the surrounding area. The Cranford Kadima chapter is a member of the Hagalil region. The aim of USY (United Synagogue Youth) is to heighten awareness of Judaism for the high school student. By engaging in synagogue services, understanding Jewish values such as tikkun olam and gemilut hasadim, the USYers bring their own unique stamp to a program that has existed since 1950. USY has an outstanding record of molding Jewish teenagers in becoming active young adults in their Jewish communities. 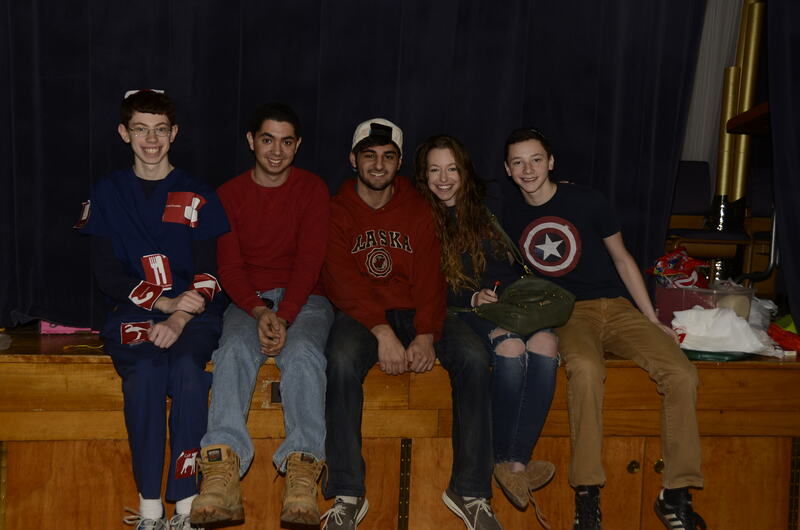 The Cranford USY Chapter is a part of the Hagalil region. This year, Cranford USY proudly hosted the LTI (Leadership Training Institute) Convention. Our terrific group went rock climbing, and planned and led Friday and Saturday Shabbat services. In addition, we enjoyed chocolate covered matzot at our seder, and had a fun-filled sleepover at the Temple. The Ruach (spirit) is an integral part of USY, and that spirit is evident at any USY event. I am proud to say that our chapter was the recipient of ten awards at the USY Spring Convention. We won largest increase in membership, Mitzvah Mayhem Award, Ahavat Tzion, Best Religious Program, Best Kadima Integration, Increase in Chapter Membership, Best Chapter Newsletter, Most Improved Communications, Best Website, Donation Over $500 (to Tikun Olam). USY has a lot to offer! There are parties, social events, and special programs and trips throughout the year. New friends are made and often remain life-long friends. On the regional level, we are the New Jersey Region called Hagalil. There are monthly dances, several conventions, and our famous end of the summer week-long encampment. On the national level, USY has a huge one week annual convention in one of America’s greatest cities. Recently it’s been in Washington DC. Past conventions have been held in Philadelphia, San Jose, Boston, New York City, Chicago and Orlando! There are also summer programs, including USY on Wheels, where USYers have the unique experience of traveling around the United States for 6 1/2 weeks with other USYers from all over the United States. The memories created on the USY on Wheels will last a lifetime. Finally, on the international level, USY has a number of incredible summer programs in Israel and Eastern Europe that last from six to eight weeks. Celebrating Shabbat in Italy with other like-minded Jewish teens, for example, is a once-in-a-lifetime experience. There is also the NATIV year long program for high school graduates in Israel that combines study at the Hebrew University in Jerusalem with working on a kibbutz and experiencing the land up close and personal. For more information, contact Jonathan Cohen, our Kadima/USY advisor.